Interests - William is a Man City fan, he likes football cards , he enjoys church and choir , and loves his Christian music. Likes Colouring, activity books, reading, writing, Bible stories, and going to Mass with daddy. Likes youtubers, Chelsea FC and is football mad! He's football mad, supports Chelsea FC, reading stories and colouring and loves soft toys. William has been poorly since he was 2 months old. It started with what the doctors said was Bronchiolitis but unbeknown to us something a lot more sinister was going on with our little boy. At 17 weeks William had a barium swallow done to see if he had an opening in the oesophagus and milk was going into his lungs. This was to see if this was causing all his recurrent chest infections and pneumonias. It showed us that William had in fact got malrotation of the gut (meaning his stomach and intestines were the wrong way round). He was whipped to Alder Hey Children’s Hospital in Liverpool the same day and was operated on that evening. William plodded on for a few more weeks but was still vomiting and not eating, so we had to tube feed him all the time. On the next stay in hospital I asked a consultant for a scan on his heart and this is where normal life ended as we knew it. 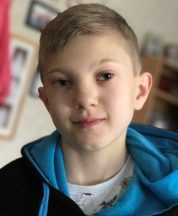 William’s scan showed that his mitral valve was leaking quite badly and he would need to have an operation as soon as possible. He had his first ohs (open heart surgery) when he was 7 months old to try and repair his valve. That was the scariest 4 weeks of my life, or so I thought. Ten weeks after William’s first ohs, he started to become very unwell again and we went back to Birmingham Children’s Hospital to have him reviewed. 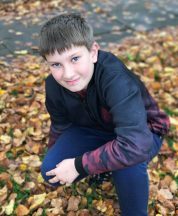 They told us that the last operation had not been successful and William would need a valve replacement, so William was admitted and he had his second ohs, exactly 2 months after his first. We took William to theatre and I felt at ease because we had been through this before, but this was worse than ever as William was an extremely poorly boy after this surgery and the doctors were telling us to take minute by minute, not day by day at this stage. Thankfully William pulled through this surgery, but during the operation William’s coronary artery got damaged. It has left his heart very impaired and he has very little function on the left pumping chamber, which has resulted in our little man needing a heart transplant. This is where we are at the moment – just waiting until we get our call to give William the gift of life. Things are pretty much the same, we were at Gosh in October, all went ok, not much change on his echo which to us is a bonus , but he still remains classed as in heart failure because of the poor function. Before I update everyone a huge thank for all the post he and his brothers receive. Well, where do we start? Although William’s health remains quite stable we have had quite a few hospital admissions lately due to his clotting levels being far too low, and we have really struggled to find a reason for this. Well, this week we have been in again all week and it has come to light that when William has been given his meds he has decided not to take them. His reasoning for this is that he is fed up of taking medication all the time when his friends don’t. He says he does not want to be different he wants to be the same as his friends. So the doctors and nurses on the wards have had a chat with him, me and dad have also spoken to him and we are organising some counselling for him with the therapist at the hospice we attend. William has just had his first year free from being on the active transplant list, as always he is coping really well and has a relatively healthy winter so far , he had a few hospital admissions during December this was to go with his clotting levels being out of range. We still get seen every 3 months be either Birmingham or gosh and they are happy with the way he is managing with his heart issues, we know eventually he will begin to decline and have to be listed for heart and lung transplantation,once again thank you for all your kind cards letters and gifts from mum. William has been quite well this year, the odd cough and cold but nothing to worry about. William still remains OFF the transplant list and being seen every 3 months in the cardiac centres. William’s last appointment in London went ok. His scans showed slight decline, which is what they expected. Hopefully the decline will be slow and steady. The highlight of William’s summer was the fab Chessington trip, so a huge thank you to everyone that made this happen. And a huge thank you to Vikki. William on a whole is doing really well. Sadly he was taken off the active transplant list due to the pressure in his lungs being too high, this means that a healthy heart would not be able to cope with the pressure of the blood coming from Williams lungs. We now just have to wait for him to become sicker and when his quality of life is not great then he will be listed for a heart and lung transplant. It’s a scary thing to try and accept but this now is our only option. Thank you for all the support we get from Post Pals. Last week William had his 6 monthly tests and we were called down this week without William for an important meeting at GOSH. After 7 years on the transplant list, William is no longer viable for heart transplant. If they put a healthy heart in William the heart would not be able to cope with the pressures coming from his lungs. He will now need a heart and lung transplant which carries a much bigger risk. Due to this, he won’t be listed until his quality of life significantly deteriorates. For now he will no longer be on the transplant list. Although we are gutted, we had already resigned ourselves to being listed for heart and lungs so this is ok at the moment. We were worried they would want to try and operate, so are ok with the decision that’s been made. We have not told William about going onto have heart and lungs as I think the enormity of it may worry him. Just a quick update to say a huge thank you for all post sent over the last 12 months. William has another big appointment coming up in Great Ormond Street at the end of this month. All our love and thanks to you all. William has had a good summer. Thank you for all the letters and cards. He has just had a short stay in hospital and has a couple of big appointments coming up, so I will do a big update after them. William is not doing too bad cardiac wise and we are just plodding on taking every day as it comes. However William is really struggling at the moment with eczema. He has always had dry skin but this past month it has really broken out and flared up. It has been awful for him scratching all the time, even in his sleep. Well, the school holidays are upon us again and we’re trying to find things to do and keep the boys busy. Today we went for a walk in to the woods beside us, but unfortunately William got tired half way round so mummy had to pop him on her shoulders. We have also just come back from a weekend in Scotland and William really enjoyed it. I want to say a huge thank you for our paper cuts as they were just stunning. A big thank you for all the cards, letters and monthly projects too, as the boys really enjoy them. William has had his 6 monthly check at Great Ormond Street this month and all went well. His pressures in his lungs have risen slightly and they are going to share all his information with Freemans in Newcastle upon Tyne to see if they think we should be trying anything else. We’d like to say thank you for the post the boys have received this month. We also have had a lovely day out thanks to Post Pals and Staff Sargent Julie Jolley at DMS Whittington Barracks. William and his brothers were soldiers for the day, starting off at the Staffordshire Regiment Museum learning about what the soldiers in the First World War wore and going in to the trenches there. We then were taken round to the barracks and were shown around what the soldiers of today do in the day. We were lucky to see the field gun run practice and some parades. He learnt all about the soldiers kit that they take with them when out on the front line when they go into action. This was such a lovely day for us all as a family and we would like to say a huge thank you to all involved. William has had a good run of late with no sick days from school. We had a recent appointment in Birmingham and all seemed ok. We were due in London this week but it got cancelled, so we are awaiting another one soon. William is doing his first Holy Communion on the 9th of May and is very excited for this so he can become an altar server with his dad. He wants to be a Deacon when he grows up, bless him. I would like to say thank you to everyone for all the cards for William and his brothers as they mean a lot. Happy new year everyone. I’d like to start by saying thank you for all the cards and the elf parcels the boys received. William has been having quite a good run lately despite the typical winter bugs. He is doing well at school and he started swimming with school last week which he finds very exciting. He is also preparing in school for his first holy communion in May, which is a day I never dared to get to excited about when he was so poorly all the time. He is so excited because once he does receive communion it means he can become an altar server at church with his dad. William has a check up in April with his cardiologist in Birmingham and then hopefully in May his big check up in London. Things have been quite good lately. William had a hospital appointment at Birmingham children’s hospital and the doctor there seems quite happy with him. He has a big check up next month in London too. A big thank you for all the post the boys continue to receive. William has had a great 6 week break from school. He goes to Birmingham children’s on Thursday (11th) and is due in GOSH in November for his next round of big tests. He turned 8 on the 1st September and loved the cards he recieved from Post Pals. Thank you so much. William is doing ok in himself and we are not having too many hospital appointments for him which is great. Last time William went to Great Ormand Street the news was not as good as we’d hoped for. The pressures in William’s heart and lungs have risen again so this is twice in a row now. The doctors seemed a little more concerned this time about the time frame for his transplant, because if they keep rising then he may not be well enough for transplant. We are due to go to Birmingham in September for a check up and are back in GOSH in November – we are praying the pressures have not risen again. As a family, we would like to thank each and every one of you who reads William’s profile and takes time to send him and his brothers mail. William has had a good and relatively healthy couple of months and we are praying it will continue. He had his 3 monthly check at Birmingham on Tuesday and they are happy with him. There is no improvement but on the good side no major decline either, so we can relax for a while now until his next big appointment in London which is in May/June time. William and his brothers really enjoy all their post they receive, I have been trying to get them to reply but anything to do with writing is proving hard work at moment, homework included! William went to GOSH in December for his check ups. Although William has been quite well of late, his heart function has declined and his pressures have gone up and the baselines have almost doubled to what they were in March, so that was a little shock to us. Luckily when they pushed certain gases through they still responded well and came down, so he can stay on the transplant list, but the doctors have said he will need more check ups in-between and tests back to every 6 months. We have had a lovely Christmas and would like to say a big thank you for all the cards and gifts sent for William and his brothers. William is going to London on Sunday for a weeks stay in Great Ormand Street Hospital. Whilst there he will be having his transplant tests again to make sure all is as it should be and also having a new feeding tube put in. On an exciting note, we have a man from the local hcpt (handicapped children’s pilgrimage trust) about taking William and his younger brother, Stephen, to Lourdes for the Easter pilgrimage. William will so love this opportunity. Our boys had a lovely letter from Prancer the reindeer today, it came from Germany and inside was a Christmas card each for our boys with a mini advent calendar on them, they are so amazing. We have had a good couple of months with William, we are due in Great Ormand Street on the 1st of December for his next lot of tests to make sure he is still doing well enough to stay on the transplant list. Thank you to everyone for all William’s mail, I do mean to try and write back, but having 3 boys means my days are here and gone before I know it. William has had quite a run of good health lately, although the poor fella had a fall and had a nasty bump on his head for a couple of weeks and black eyes to match. 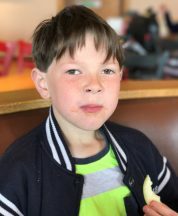 William had checks recently in Birmingham Children’s Hospital and nothing much has changed, which we take as good news, although William has had blood tests taken for Noonans syndrome as this could be an answer to everything he has had happen to him. William has had a great winter – one of the best he has ever had – with not too many colds and only a couple of hospital admissions (which were tests etc). William is now his target weight and weighs 20kg, so this means he can go up to the next category for transplant and he is out of the infant group, so hopefully this means he will get a heart soon as there seems to be more bigger hearts available. Thank you so much to everyone for the mail that both William and his brothers receive as they love getting it. William is doing quite well at the moment, though he had a lengthy stay in hospital at the end of November, due to a nasty line infection that resulted in him going down to Great Ormand Street to have this removed and a temporary line put in. We are currently awaiting a date to go back down for his big 6 monthly check up in which they do all the transplant tests again to see if he is still compatible for transplantation, so fingers crossed all will go well, but it means a week down in London for us all. I would like to say a huge thank you to everyone that sent William and his brothers cards, gifts and letters, at Christmas (as well as the rest of the time too). There were so many that I would not like to name individually in case I forgot someone and hurt their feelings. So once again, I would just like to send a huge thanks to everyone that keeps sending mail and smiles to our boys. Thank you everyone for all your support and mail that you have all kindly given to my son and us all as a family. As you are all aware, William is awaiting a heart transplant and has been on the active list for a massive 3 and a half years now. It is hard for me and Chris waiting and watching William for changes in his condition. Ordinarily William does quite well and copes with all that is thrown at him and his strength is unmeasurable. We draw inspiration from him to keep us going every day, because if he is strong enough to get through this then we can be strong enough to be beside him every step of the way. We have just had a rough few weeks with William, as he grew a nasty bug in his hickman line which we use to get access for bloods and medication when needed. This resulted in a 3 day trip to London (GOSH) to have the infected line removed and a temporary one put in (a PICC). Hopefully this will last until we go back in January for his next big check up and he can have another hickman line put in. I will updated soon to all who look at William’s page and we would like to wish you a Merry Christmas. I am proud of our little man and I am proud to be his mummy. We have had a rough couple of months with William; he seems to be picking up every virus going, so it has meant lots of antibiotics. On William’s last trip to GOSH they were concerned with his weight, so they have us feeding him through the day continuously until midnight now. They want us to try and get his weight above 20kg and say that once his weight does get above 20kg the spectrum for a new heart opens wider and the range is bigger as he will be able to receive an older child’s heart. I would personally like to take this opportunity to say thank you for the post that the children receive, William and his brothers really enjoy getting post. Sorry I’ve not updated for a while. William has not been great over the last few months with chest infections and general wheezing etc. We had an admission again last week and we got to see the respiratory doctor who says that he feels Williams lungs are hyper inflated, meaning that he does not exhale properly and air is trapped in his lungs. He has ordered lung function tests and a ct scan on his lungs and started him on long term steroids to ease the narrowing of his airways too. We are still on the active list for transplant. Firstly, I’d like to say a big thank you to everyone who takes time to look at Williams’s page and also to those that send cards and treats to all of our boys. It means a lot to them. My husband and I also received a very thoughtful gift through the post from Dominic and Gethin’s mum which was a gift card for Pizza Hut, so a big thank you again to them. William has had quite a few hospital admissions over this winter, not so much with chest infections but with very bad wheezy cough, which is causing him to de sat and work very hard with his breathing. We went to Great Ormond Street at the end of January for his big 6 monthly transplant tests and they were quite pleased with him, but it did knock his coagulation off kilter and it took almost 10 days to get his blood within the desired range so as not to clot around his metal valve. We have to go back in April to see cardiac doctors and neurosurgeons to do with this syringomyelia that they found on his spine at the last check up. Last week we went down to GOSH for a heart check up and they are really pleased with William and don’t want to see him now until we go down for the big tests again in April. This cold weather is getting to William again already and we’re on our first treatment dose of antibiotics and I doubt it will be the last. I would like to say a big thank you for all Williams post as he does enjoy receiving it. William has had a pretty good couple of months. We took William on holiday in August to Wales and it was a lovely week. The week after we went down to London for William’s big cardiac transplant tests, which all in all were quite good results. Not much had changed in the last 6 months, but unfortunately it was found that William has a new unrelated condition on his spine called SYRINGOMYELIA meaning that in time William will lose nerve sensations in his limbs, muscle weakness and deterioration and also loss of control over bowel and bladder. This was a bit of a shock for us but now it is just another part of William’s uniqueness. A couple of weeks ago William was admitted to Birmingham children’s hospital as he was going to have a gastrostomy put in last week, but in the week leading up to the operation Williams clotting levels became too low and his artificial valve was at risk of becoming impaired, so they were worried about him and had him in on heparin in preparation for the operation. His operation went well but it did knock him for six, bless him. He was really sore and unwell for about 3 days. William also started school in September and is currently doing Tuesdays, Wednesdays and Thursdays so as not to tire him out completely. William would like to say thank for all his post he receives, he does enjoy it when cards and letters come through and we have been meaning to reply to them but it has been hard to keep up with everything over the last couple of months, what with hospital appointments and starting school. Thank you also from a very grateful mummy and daddy. Your support means so much to us. William went in to theathre yesterday for a few procedures. Today we are still in GOSH, as when they did the mri yesterday they saw an abnormality on his spine, so they want us to see a neurologist and a geneticist whilst down here. I would like to thank everyone for their well wishes for William. William is doing quite well this month. It started off a bit ropey with another hospital stay due to a chest infection, but he is doing much better now. William has had a couple of big hospital appointments this month. One was to Great Ormand Street to see his cardiologist and they were petty happy with how his heart is coping, but want him down in the next month for the big 6 monthly tests again to see if lung pressure is still stable. If this continues to rise then William can no longer be considered for transplantation, so some prayers and well wishes would be great. We also took William to Birmingham Children’s to see a surgeon about having a gastrostomy (peg) instead, as William’s ng tube was only ever supposed to be short term and that was 3 and a half years ago now. They agreed and said we just have to wait for a date, so hopefully it won’t be too long for that. Yesterday we went down to GOSH for a check up appointment and in general there is not a great deal of difference from last time we had an echo. We have got to go back in the next few weeks for cardiac cath again to check pressures in his lungs to see if he still stable enough for transplant. William has had another good month health wise and we seem to have luck on our side this year. We are still waiting to hear about William having a gastrostomy and finally getting rid of the ng tube as the poor little man gets so upset having it re-passed. I have to pull it out for him on Friday morning just because it has been in 6 weeks and I hate putting him through this, but I suppose there is not a lot I can do about it until he has g-tube done. Any way i would like to say a huge thank you for all the support, letters of encouragement, cards and gifts. It really makes Williams day to get something through the post and it makes me a happy mummy too. As for all the lovely emails I have received this week – I am going to try and reply to them all this week at some point. 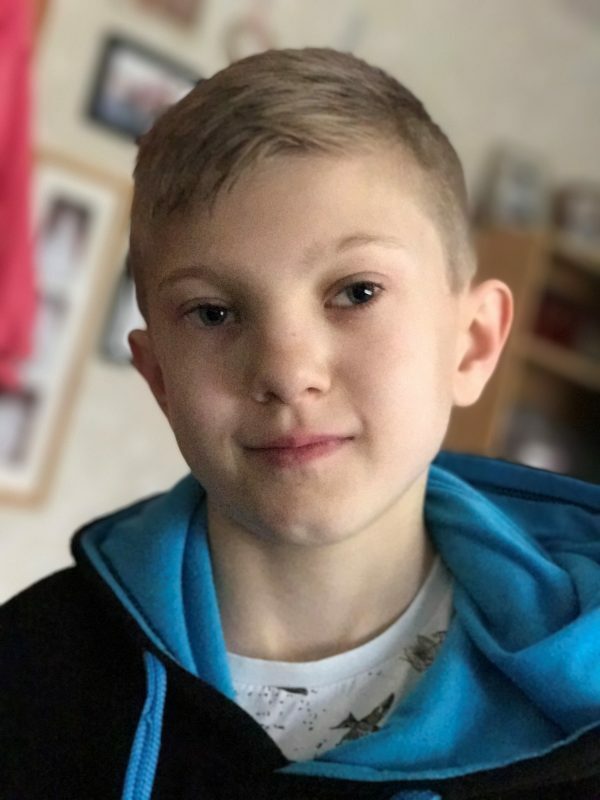 William has also got his Make a Wish day on Thursday this week – he has had a playground done in our back garden, so hopefully I can get some new pictures of him on his equipment. I just wanted to let everyone know that we heard from Great Ormand Street on Friday morning and they decided to put William back onto the list. They said that although it will be a very high risk transplant, they are willing to take the risk. So now we are just waiting for the call. William has been a little unwell recently with bad chest infections. We also had to cope with the transplant team making the decision to suspend him on the list until he had his catheter done in January. We went down to London on the 19th for pre assessments to be done ahead of the cath being done on the 21st. All went well during this procedure, but the news was not as positive as we would have liked as William’s lung pressures have increased. The doctor came to discuss the results with us and said that although the pressures had increased, they did respond to the tests they did which was positive, but they were still about the same as they were 6 months ago. This means we were still borderline whether he could be considered for transplantation or not. The doctor said to us that he could not just put us active on the list again just like that as it would need discussing with all teams involved what the next option is. From what he was saying there could be four options now. One would be to go back active on the transplant list and be aware that it would be what he called a high risk transplant. Two is maybe we could attempt another valve replacement to put in a bigger metal valve to see if it reduced pressure, but this too would be very risky and he may not pull through. Three is that they consider trying to put him on the artificial heart (the berlin heart) to see if this would relieve pressure until a heart became available, but this in itself would mean William being hospital bound in high dependency part of ward for maybe months on end. The fourth option is they do nothing and just play with his medication as his heart starts to fail. This was all to be discussed last Thursday in a big meeting they had, but sadly one of the doctors got called away, so we won’t know what they think the right route for us to take would be yet. As soon as we know, I will let everyone know too. William sends huge kisses to all who read his updates and continue to send him post. William has not been too well over the last 6 weeks, but the bad weather is here and it takes its toll on poor William, as he just does not have the reserve to fight off all the viruses flying around. We have had a few hospital admissions too recently, the first one due to shortness of breath, and they were that worried about him that they actually sent us to our nearest cardiac hospital, which is Birmingham Children’s Hospital, to check and see how his heart function was doing. This was not the news we had hoped for really, the doctor told us that basically he is outgrowing his prosthetic valve now and it is resulting in his heart failing quicker than we’d all hoped. While we were in the hospital he had his swine flu vaccine and coped really well with it, bless him, he is a total darling and just takes it all in his stride. We were home for 2 days and ended up in again with temps of 39.6 so they isolated us as they thought maybe he had contracted the swine flu just before he had the vaccine, but luckily he tested negative. We are hoping to stay clear of the hospitals now so we can enjoy Christmas at home as a family because we don’t know what next year holds for us. William has to go back down to Great Ormond Street in January and go through all his assessment for transplant tests done again. So it means another anesthetic and catheter done to check his lung pressure which we are praying has not changed, as last time he had them done they came back borderline, and if they go higher then we can not go forward for heart transplantation and will have to be considered for a heart and lung block, which is much more rare to come by, especially in children as small as William. Anyway, on a lighter note, I would like to wish everyone involved in Post Pals and everyone who sends mails to all the deserving children on this site, a merry Christmas and a happy New Year. Post Pals is an amazing organization, keep up the hard work as it is so worth it. Thank you for William’s cards, the smile on his face when he gets these just melt my heart. Thank you to Lokryn and Talek for your lovely card and teddy bear – he goes to bed with William every night.